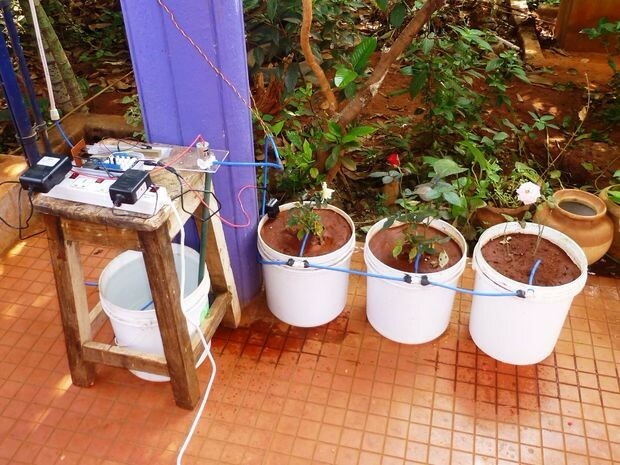 Automated watering of potted plants with Intel Edison... A Moisture Sensor detects the low moisture content of soil and activates the water pump or the solenoid valve which controls the flow of water. When the required water is pumped to the plants, the sensor automatically stops the pump / solenoid valve. It is a repeat process. 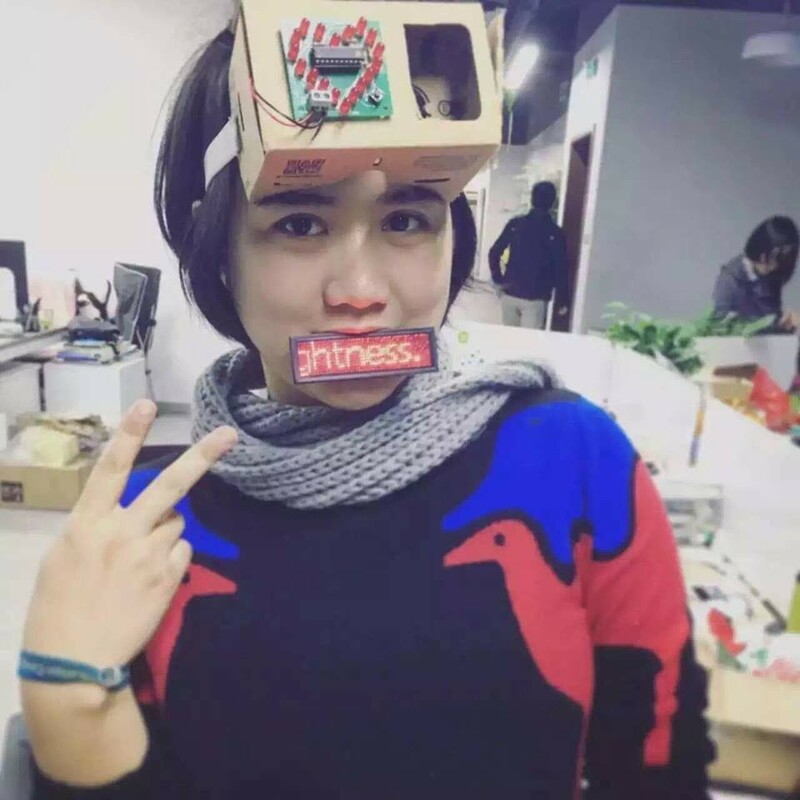 This is one of my original proposals submitted to Intel IoT Invitational where the Instructables HQ team seeded about 300+ community members with specially bundled kits under different themes. I was awarded a kit under"Environmental & Agriculture". 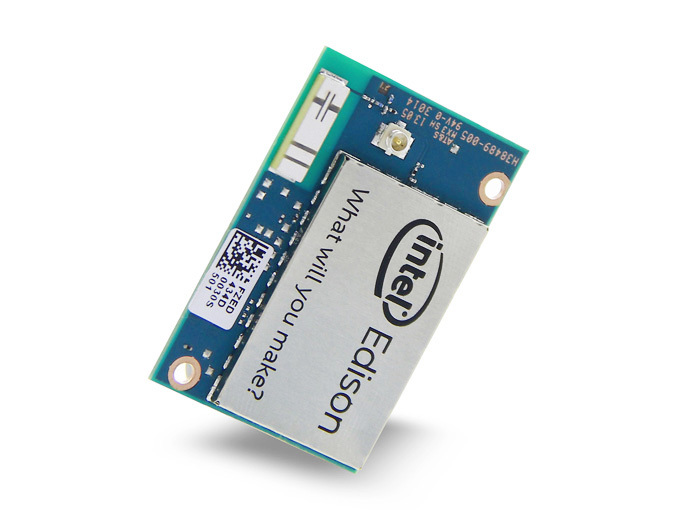 The Intel Edison is based on Arduino Uno. I was new to Arduino and Intel Edison. So, when the first batch of recipients were announced and I got an email from instructables that I was wait-listed, I felt relieved. The reason being that I need not get into the process of something new which may take a month or two to learn even the basics. But when I got another mail that my proposal has been selected under"Environmental & Agriculture"I was happy. I am a learner, so Immediately I started my learning process, browsing through related websites, forums and collecting resource material. It took me almost two months to come to a beginner's level and I can proudly say that I can do small projects with Intel Edison and develop my own simple Arduino code for such projects. I have tried my level best to make this instructable as simple as possible with multiple steps explaining everything involved in this project so that anybody can replicate and use it in their home. Regarding the parts and materials required, instead of posting all of them in one step and scaring away the readers, I have broken down the material requirement and combined them separately with the relevant steps. 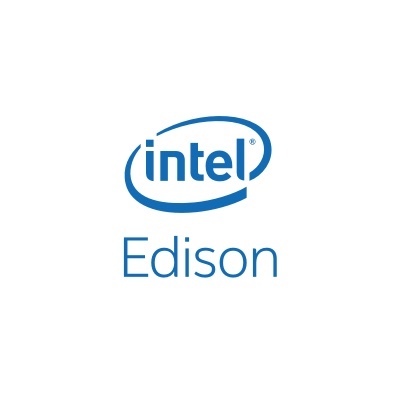 The first time you got your Intel Edison, you need to assemble and set up the necessary device drivers and the programming language of your choice. You need two numbers of Micro USB 'B' to Type 'A' Cables and a 12 Volt DC power adapter suitable for the power supply in your country (110/120 or 230/240 volts). Make sure that the rated power of the adapter is minimum 1.5 ampere and the inner pin is the positive pole. Please follow these steps to assemble, install necessary device drivers, flash Edison Board and installing the Programming language of your choice. I preferred Arduino as it is very easy to learn and also there are lots of sample codes for the sensor modules available online. Sometimes the flash tool may fail and you may need to flash the board manually. For this project we do not require to setup the serial terminal and wi-fi. Once you finished installing the Board, please remember to note down the Virtual Com Port number and the USB Serial Port number from the Control Panel - Device Manager - Ports (COM & LPT) menu. You can see in the last picture of my Device Manager screen-shot, that the Virtual Com Port number is 21 and the USB Serial Port Number is 22. If you have any problem or doubts please post a comment here and I will be happy to help to the best of my knowledge. Grove Moisture Sensor with Connector Cable : The Moisture Sensor is used to detect the moisture level of the soil, which works based on soil resistivity measurement. The sensor shows a lesser value when the moisture content is low and shows a higher value when the moisture level in the soil is high. The Moisture Sensor can be directly connected to an Analog port of the Grove Base Shield using the connector cable. Once you completed assembling, installed necessary device drivers and the Programming language, you are ready to connect Grove Base Shield and Grove Moisture Sensor Module to the Edison Board. 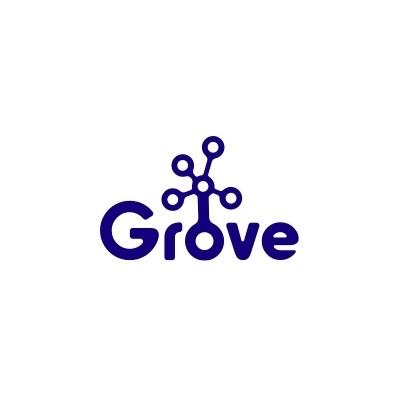 Connecting the Grove Base Shield - The Grove Base Shield V2 is compatible with most of the Arduino boards available. Some boards work with 5 volts power supply and some with 3.3 volts. Intel Edison Breakout board is based on Arduino Uno Board which works on 5 volt power supply. You can find the power selector switch on the Base Shield near the Analog Connector A0. Slide the power selector switch towards 5 Volts. The number of pin out on Grove Base Shield is same that of Arduino Uno board, so it can be directly inserted on the Edison Breakout Board. Connecting the Moisture Sensor - Using the connector wires provided with the module, connect one end of the connector to Moisture Sensor and the other end to Analog connector A0 on the Grove Base Shield. The connectors can be connected one way only so there is no worry of wrong connection. Copy the code to your Arduino IDE, compile and upload to your Edison. Now open the Serial Monitor. You can open it from the 'Tools"Menu or click on the Magnifier icon on top right of Arduino. Alternately Shift+Ctrl+M will also bring out the Serial Monitor. Here you can see that the initial value of the sensor is set to Zero. So when the sensor is in open air, it will display values of '0's in the Serial Monitor. When you immerse the Moisture sensor in water, you will get higher values. Please see the two Screen shots above for reference. Take care that the electronic circuits of the sensor are not immersed in water which will short-circuit and damage the Sensor. The plants need watering when the soil moisture content reaches a certain low level. If the plants are not watered at this stage they show signs of stress and after sometime they start wilting. When you water the plants, you also consider the moisture holding capacity of the soil and stop watering when the soil reaches the maximum level. Watering beyond this point may lead to over-watering and is also harmful to plants. So, we collect soil samples from the garden and conduct a test to find out both these levels. Make a visible inspection and decide a spot where you think that it needs watering. You can also collect samples from the containers of existing plants. Collectsoil sample from a depth of about 2 to 3 inches below the surface. Insert the Moisture Sensor in the soil sample and note down the average reading from the Serial Monitor. You can see the screen-shot here that the Serial Monitor displays reading between 343 and 352. So, we will keep 350 as the average reading and set this as the level when the plants need watering. Now slowly add water to the soil and watch the readings on Serial Monitor. You may find that after certain level of watering the readings does not have much different and are almost constant. In the screen-shot above, you can see that the serial monitor readings are between 720 and 735 and the soil sample also slightly over-watered. So, we will keep 700 as our maximum water holding capacity of soil sample we are testing. Considering these readings as our base, we will develop an Arduino program for controlling the watering cycle. As there are chances of accidentally spilling water over the system, we need some short of protective covering for the Edison Board with Base Shield and other accessories. Placed the Edison Board inside a suitable plastic case, drilled holes and fixed the board with screws to the case. I have also made necessary openings for the power adapter and USB cables. The Moisture sensor module and the circuit to operate the pump can be connected from the top. A word of caution here... The WiFi antenna of the Edison is located under the board. If you enclose the system with a protective case, you may not be able to use WiFi with Intel Edison. Here you can see that we have set the Dry value as 350 when the water pump starts watering the plants and the Wet value as 700 at which point the water pump stops. The moisture sensor will be connected to Analog connector"A0"on the Grove Base Shield. The output signal to start and stop the water pump is through Digital pin 9 on the Edison Board. The program tells Intel Edison to read values from the Moisture sensor connected to Analog connector"A0". When the sensor value falls below 350, a small signal current is sent to Pin 9 which will activate the water pump connected to a simple electronic circuit. When the sensor value reaches 700, the signal current to Pin 9 is stopped which also stops (or opens) the circuit operating the water pump. The code also has provisions for monitoring the sensor values through the serial monitor, connected to a computers using the Micro USB cables. You can copy / paste the code in your Arduino IDE and upload to your Edison Board. Make sure to set the com port numbers you noted down from your computer before uploading. digitalWrite(waterPump, LOW); // Make sure the Water Pump is off. Since our code is ready, let us build the circuit which controls the operation of water pump. A NPN Bipolar Transistor which will act as a Switch : Here you can see a NPN type Transistor (TIP 122) which we will use in our circuit as a switch. The transistor has three pins namely Base, Collector and Emitter. The required voltage to operate the water pump is connected to Collector pin of the Transistor which will pass through the Emitter to the water pump. NPN Transistor circuit is normally open, means no current will pass through from Collector to Emitter in normal condition. However, a small signal current through the Base will close the Circuit and allow the current to pass from collector to emitter and operate the water pump. If you go back and refer the Arduino code, you can see that we have declared Pin 9 as an out put to operate the water pump, which will be connected to the Base of the transistor. When the Sensor value is less than 350, the program triggers a small signal current to Pin 9 connected to the Base, which closes the circuit and operates the water pump. When the sensor value is more than 700, there will be no signal current through pin 9 and the circuit opens stopping flow of current from Collector to Emitter and the water pump stops. In the next Step we will see the technical details and the type of Transistors you can use in the circuit. What is the role of Diode ? : You can see that we have also included a Diode (IN 4007) in our circuit. The Diode allows the current to pass from Anode to Cathode, that is from the (+) ve end to the (-) ve end and not the other way round. Now consider that our water pump is in operation. When the sensor value reaches 700, the signal current to Pin 9 is cut off which also stops the water pump. When the water pump stops, it creates a reverse current which flows back through the Emitter, Base and to the Edison Board through Pin 9. The probability of the Edison Board getting damaged with this reverse current is very high. In order to stop this, we place a Diode between Pin 9 and the Transistor, Anode to Pin 9 and Cathode to Base of the Transistor. As the Diode will allow current to pass from one direction only, it stops the flow of reverse current from the motor and safeguards the Edison Board. We will see in the subsequent Step what type of Diode we can use in the circuit. We have used a TIP 122 NPN type Transistor in our circuit. The Transistor we used is actually a combination of two transistors known as Monolithic Darlington Configuration. Even a very small signal current at the base is able to activate the transistor due to its exceptional high gain performance. Please see the first picture. If you hold the inscription on the Transistor facing you, then Pin 1 is the Base, Pin 2 is the Collector and Pin 3 is the Emitter. Remember to make your circuit accordingly. In the second picture we can see the Electrical Ratings of the Transistors. TIP 120, TIP 121 and TIP 122 are NPN type & TIP 125, TIP 126 and TIP 127 are PNP type transistors. Except for the Collector -Base and Collector - Emitter voltage handling capacities, all other ratings are same for all Transistors. In my Circuit I have used a TIP 122 NPN type transistor. You can also use TIP 120 and TIP 121 in your circuit as per availability as all can handle input voltage above 60, whereas our maximum voltage will be around 12. You can also use TIP 125, TIP 126 and TIP 127 PNP type transistors in your circuit but the connections will be a bit different. I have TIP 127 with me but I do not know how to use it in the circuit. Hope some Electronic experts will throw some light on how to use PNP type Transistors. As we have seen earlier, we have used a IN 4007 Diode in our circuit, which will allow the current to pass from one direction only, that is from Anode to cathode. If you look at the Diode carefully, you can find a white or black band marked on one side of the Diode. The banded side is the Cathode terminal. Please also refer to the third picture above for technical details of Diodes. Here you can see that enclosed within red border are IN 4001, IN 4002, IN 4003, IN 4004 and IN 4007 rectifier type.diodes. For all these Diodes, only difference is the Peak Inverse Voltage (PIV) and all other details are same. The minimum PIV for IN 4001 is 50 volts, so you can use any of the above Diodes in your circuit as per availability as our PIV will be maximum of 12 volts only. I have made this simple sketch based on some reference material from the net to control the water pump through Intel Edison. A Bread-Board helps you prototype and test your circuit without soldering. Just plug-in the components vertically in the position you want and connect the required terminals with jumper wires to complete the circuit. This makes it easy for repeated use of bread-board to test different circuits before actually making them. The outer two rows on each end are called as Bus Strips. You can use these bus strips to provide power supply to the circuit, one for the supply voltage and other for the ground. The central portion with many terminals running perpendicular to the Bus strips are known as Terminal Strips. A central notch divides the terminal strips for easy prototyping of Dual In-line Package (DIP) Integrated Circuits. The Bread-Board I have used contains two separate portions which I have marked with black lines. If you open the backside of the Bread Board, you can easily see that the connections of the bus rows at the ends are broken at the middle. So, here you have 8 buses of 25 connected terminals on the Board. A timer. You can use a mobile phone also. Measure the water collected using the empty plastic bottle. The water pump could pump about 500 ml in 30 seconds, means it can pump about one liter of water in one minute. I have also tested the water pump to see how many potted plants it can water. This mini pump can not water more than three plants due to its limited capacity. The specifications of the water pump at Seeedstudio web page below mentions that the working voltage of the water pump is 4 v - 12 v. But the pump did not work well on 12 volts. So use only 6 volt power supply for the pump. Now our Intel Edison with Moisture Sensor, Bread-board circuit, water pump and Arduino code for the system are ready. Let us test the system in real time. Connect the water pump to the circuit as mentioned earlier. Keep the circuit sketch handy for reference. Run the code. Since the Sensor value in dry soil is less than 300, the water pump will start running. When the Moisture content of the soil reaches 700 as sensed by the sensor, the water pump will stop. Our system is working perfectly. Please watch the video above on testing of the system. I have added a buzzer to the system for clear sound while testing. Perforated boards are thin sheets with pre-drilled holes with 2.54 mm spacing. The holes are ringed by copper pads. There are boards with single side pads and also double sided pads. You can simply insert the electronic components as we did with Bread-Boards. However, here we solder the parts together as per the circuit diagram. Here I have selected a single sided perforated board for assembling the circuit. Select a suitable perforated board and keep the non-padded side up. Insert the TIP 122 Transistor pins on adjacent holes at one end leaving some space. Test with multi-meter for any short circuit. In order to connect our circuit with the water pump and Edison, we will add female pin headers of suitable length and solder the component pins to the pin headers. The Pin header is an electrical connector where the pins are spaced exactly at the same distance as that of holes in perforated board. A male pin header has pins on both sides where as a female pin header has pins on one side and holes on the other side through which male jumper wires can be inserted. Though I need only a single row pin header with 4 connector pins, I will make a 6x1 (6 pins x one row) piece of female pin header for our circuit. Here I got a long strip of pin header with me. So we will sacrifice one connector pin and cut the required length. Take a craft pin or needle and push through the seventh hole from one end. Using a garden shear or a knife cut through the location from where we have removed the connector pin. Let us number the holes 1 to 6 from left to right for ease of use. Please refer to the sketch above for soldering the components with pin header. When inverted the numbers will be from right to left. Place the 6x1 pin header on the perforated board as shown in the picture and insert the connector pins through the holes. Invert the perforated board with the pin header in place. Connect and solder pin 1 (extreme right on the inverse side) to Anode end of Diode. The pin numbers 2 and 3 will not be used. Cover the soldered portion of the perforated board with insulation tape. Our circuit is now completed. A longer connector cable for the Moisture sensor is essential so that the entire system can be placed safely away from the plants and prevent accidental spray of water from the pump. Cut a connector cable in to two halves. Select suitable length of four wires. Strip ends of all wires and connect each end to both the halves of connectors. Test with a Multi-meter that the connection at both ends are correct.You can use Heat shrink tubes and insulation tape to secure the connections. The last picture shows the Moisture sensor attached with a long sensor cable. As the Moisture Sensor will be placed in soil near the plants, we should also protect the electronic parts of the sensor from accidentally getting damaged with water. Place the Moisture Sensor inside the case as shown in the picture and close with lid. About 10 feet of 1/4"size flexible plastic pipe. This is the same type of pipe used in RO/UV water purifiers. It is same size of inlet and outlet of our water pump, so you can very easily connect the pipe line to the pump. Place"T"/"L"connectors as required in the drilled holes. You can use"T"connector for the first and second & a"L"connector for the last bucket. Place all potted plants side by side and roughly measure the distance between connectors. The water pump needs to be fixed firmly to a support to prevent it from making jerking movements during start and stop. I have fixed the water pump to a small piece of Acrylic sheet and then nailed it to a wooden stool by drilling holes on the acrylic sheet. Place the wooden stool at the desired position nearer to the potted plants. Attach a suitable length of 1/4"plastic pipe to the inlet of water pump. I have also attached a"L"connector at the pipe end which will help in easy flow of water from bottom of the bucket. As we have detached the Edison Board from the computer, we need a separate power adapter to power Edison. Make sure that the rating of the power adapter is 12 volt, minimum 1.5 ampere and the center pin of the adapter is the positive pole. The power adapter provided with Edison works on 110/120 volts and is not suited for the power supply of 230/240 volts in our place. A Surge protector with multiple plug points will also help you in connecting 12 volt adapter for powering the Edison and 6 volt adapter for the water pump. The one I got here has four outlets with individual switches for each point. Remember the sketch of the circuit we made earlier, please keep it handy as reference when making connections. Please also refer instructions on Step 18 above. Power both Edison and the water pump. It may take less than a minute for the Edison to power up and read data from the Moisture Sensor. As the sensor reading is below 350, our water pump will start and water the plants. The water pump stops when the moisture sensor reading reaches 700. Initially you may find that water supply to all the three plants are not uniform and the first plant may get more water than the last one. To rectify this I made some adjustments in the outlet openings by sealing with Sugru with little openings. There are some leakage of water at few places also. I have rectified the leakage with"M"seal Epoxy compound. After curing, the leakage is stopped. I have tried to make this instructable as simple as possible so that anybody can follow the steps involved and replicate it in their home. In case of any doubt or any help required please make a comment and I will be very happy to help to the best of my knowledge. This tutorial is originally made by antoniraj.